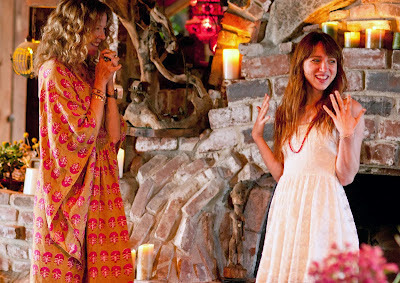 Home / CELEBRITY NEWS / Zoe Kazan is "Ruby Sparks"! Zoe Kazan is "Ruby Sparks"! Zoe Kazan’s spark is aglow all over as her debut lead role and screenplay “Ruby Sparks” continuously merit positive and rave reviews since it recently opened in the U.S. More than ripe and timely for reaping movie audience internationally looking for a new kind of high in romantic movies, “Ruby Sparks” will open in Philippine cinemas on September 19. In the enchanting, reflective and very funny “Ruby Sparks,” Paul Dano plays Calvin, a brilliant young writer who dazzled the literary world a decade ago when he was a young student. His first novel was greeted with accolades and awards. But since penning that book, he has failed to live up to expectations and that early promise. He hasn’t written anything for a decade. Life changes one sunny California day when Calvin wills the perfect woman into his life by the sheer power of his imagination. Ruby (Zoe Kazan) leaps off the page and into the kitchen of his house, filling it with her warm and joyful personality. But Calvin will have to decide soon what awaits Ruby at the end of his story. It began with an idea that struck Zoe Kazan nearly as suddenly as Calvin comes up with Ruby Sparks. Kazan – renowned as a promising playwright and a rising actress with roles in “Revolutionary Road,” “It’s Complicated” and the indie Western “Meek’s Cutoff” – was coming home late one night from the set of a film when she was shocked to see a mannequin lying in heap of trash. The sight set off a creative chain reaction as Kazan, a Greek mythology buff, was reminded of the ancient myth of Galatea, in which Pygmalion falls in love with the statue he has crafted with his own hands. That uncanny moment, when the inanimate seemed to come alive, started her thinking about how fantasy, autonomy and identity collide and collude in contemporary relationships. Find out what happens to “Ruby Sparks” when it opens in theaters on September 19 from 20th Century Fox to be distributed by Warner Bros. Below is the movie trailer of "Ruby Sparks"! Enjoy!